Kaye’s class will be doing a Thanksgiving play and feast tomorrow. I am so excited. This will be her first play ever and I just know it will be cute. Come on. It’s a group of kindergarteners. What’s not to like about that? Being one of the room moms for her class, I have been coordinating the food for the feast and in charge of providing decorations. 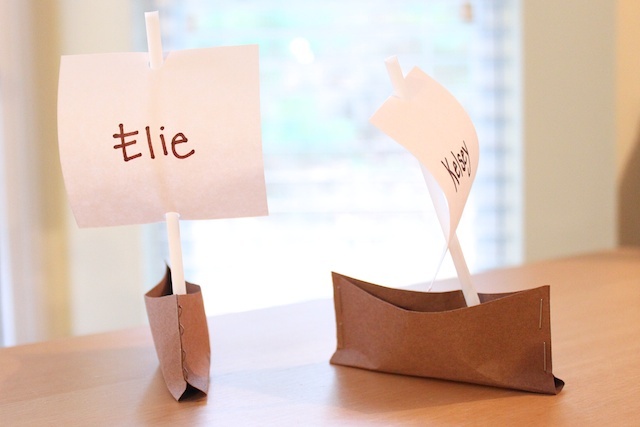 I thought it would be cute to make paper Mayflower ships for each of the kids. And although I had to make 22 of them, it took no time at all since it was so easy. In fact, you could get your children to make them for you. These would work great on your Thanksgiving table as place settings. If you make something inspired by Simply Modern Mom, please upload pictures of it to our Flickr group to show it off to everyone. You may be featured on Simply Modern Mom. 1. Cut paper. 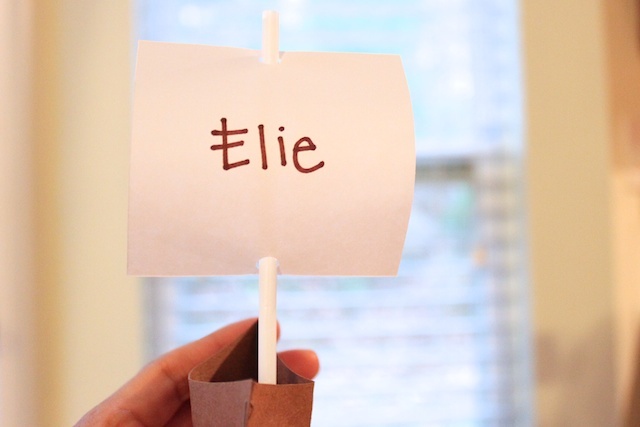 I wanted it small so my brown paper was a 4-inch squares and the white sail was a 3-inch squares. 2. 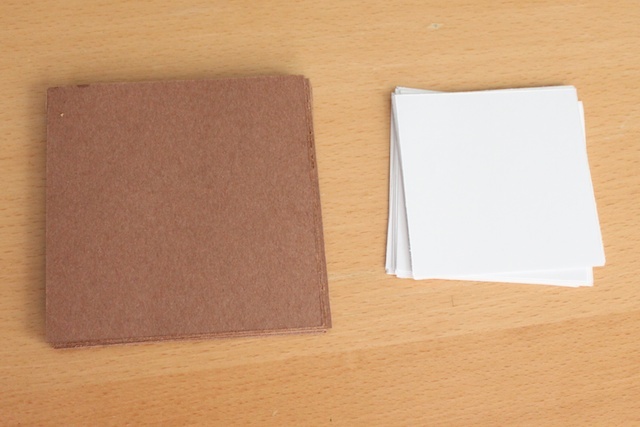 Bend the sail (white paper) in half to hole punch in the center (center of left and right). You should end up with two holes. Do not crease and press the sail in half when hole punching. 3. 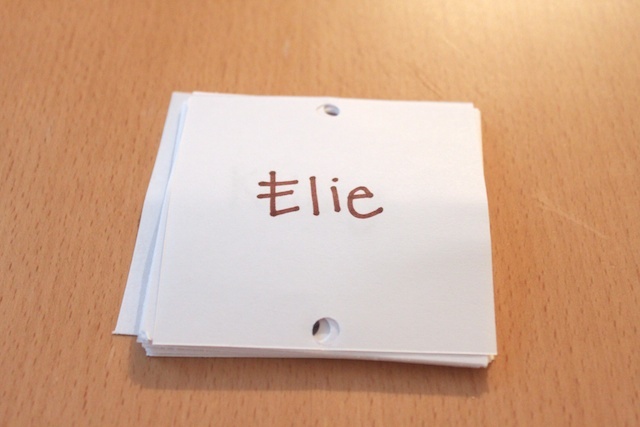 Write names in the center of the sail. 4. 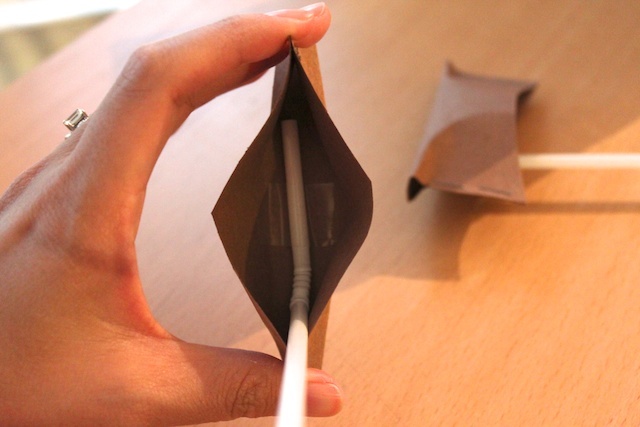 Bend the brown paper in half. Do not fold and crease. Staple the sides but leave a little opening at the bottom toward the bend. 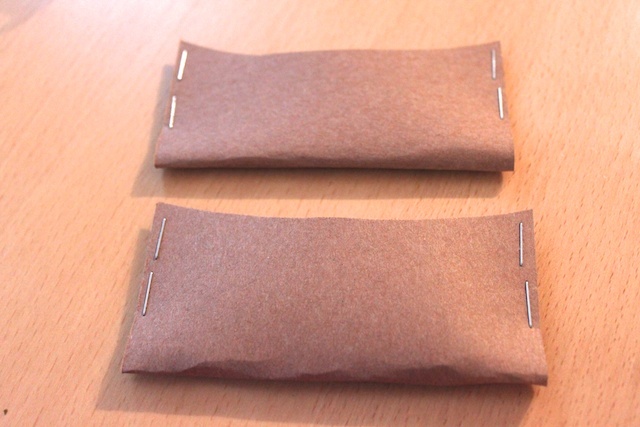 If you want something nicer than staples, you can stitch the sides with string or yarn. I did staples to make it fast and simple since I had 22 of them to make. 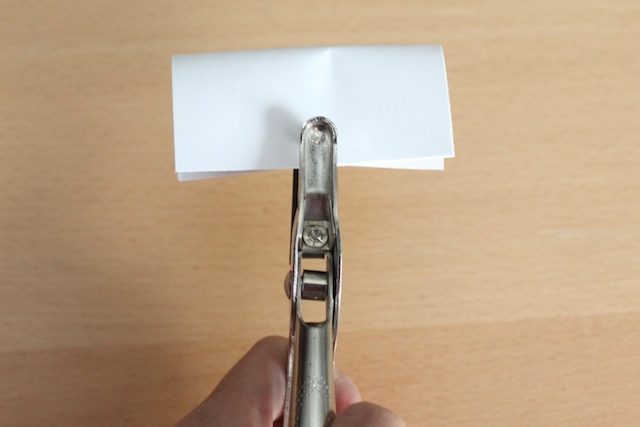 Once stapled, press the center of the bend up toward the large opening to make the boat bottom. Crease the sides to help the ship stand a little better by creating a base. 5. Bend the straw at the accordion bend and tape the short end inside the ship. 6. Place the sail on by putting the straw through the two holes previously punched. 7. 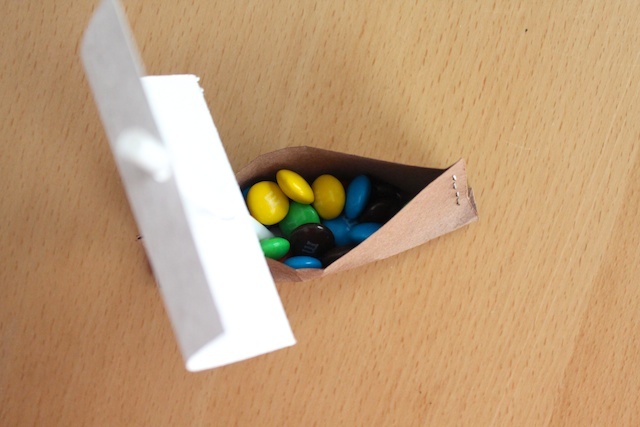 Place candy in the ship to weigh it down and help it stand. And done! » Tell me… How are you decorating your Thanksgiving table? 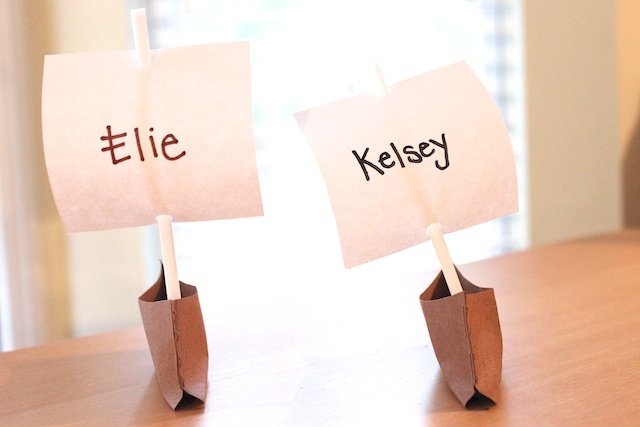 these are so cute and creative! those little ones will love them…especially when they find the candy inside! wow, what a fun home room mother you are!